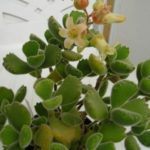 Cotyledon tomentosa is a succulent shrublet, densely branched and up to 20 inches (50 cm) tall. 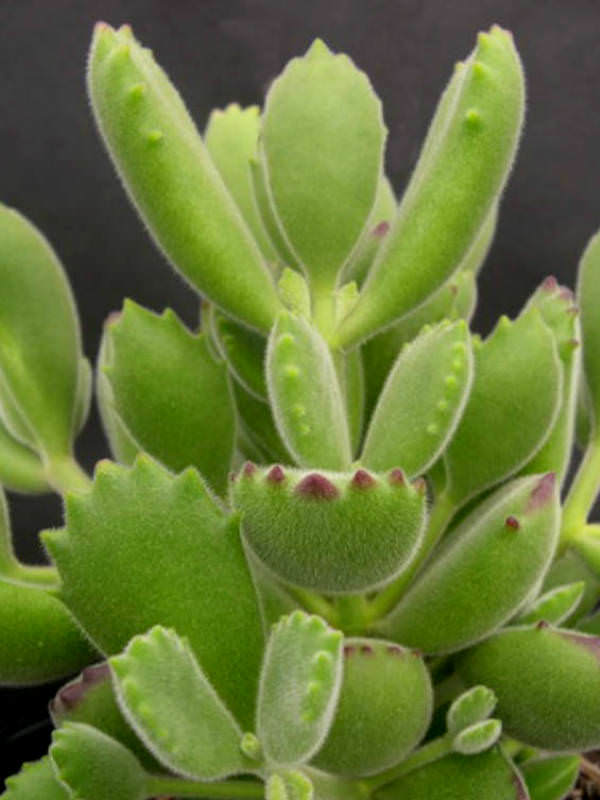 The leaves are flat, succulent and hairy, up to 1.5 inches (3.5 cm) long with 3 to 10 (often reddish) teeth, arranged in a neat row. There are bright green forms with yellowish hairs and grey ones with whitish hairs. The bell-shaped flowers are light yellow, orange to orange-red or pinkish in color. 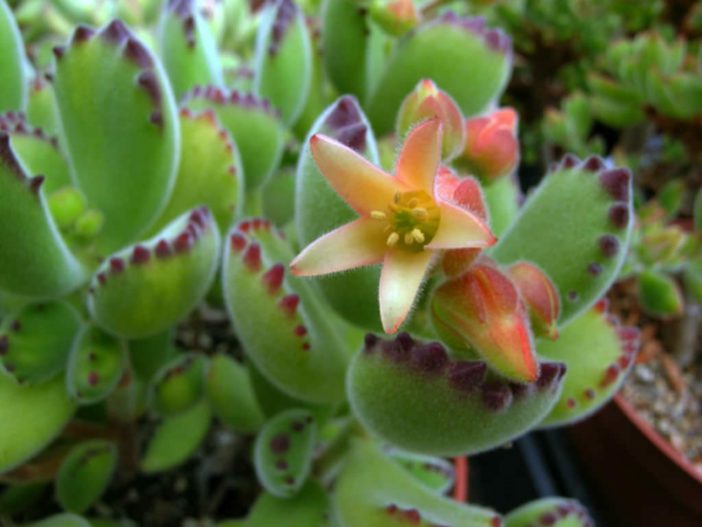 Bear’s Paw grow in bright shaded areas where they rarely receive direct sunlight. Outdoors, plant them in slightly sandy, well-drained soil where water doesn’t collect after rain or irrigation. Potted plants require a container with at least one bottom drainage hole. When planting Bear’s Paw in containers, select pots only slightly larger than the root system. 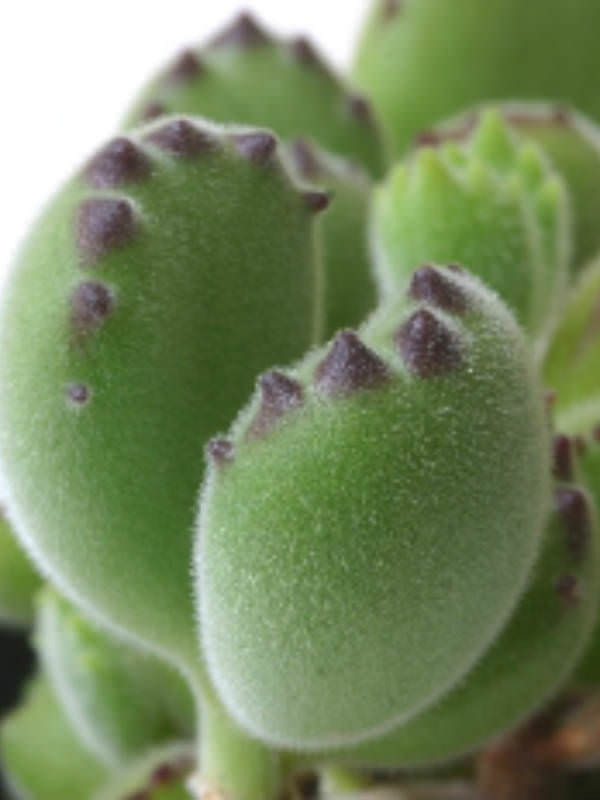 Regular deep watering in the summer months, when the plant is actively growing, keeps the Bear’s Paw healthy. Water garden plants deeply once weekly when there is no rainfall, supplying about 1 inch (2.5 cm) of water. Potted plants require watering when the soil had almost completely dried. Fully drench the soil until the water drains from the bottom hole in the pot, and empty the collected water after the pot finishes draining. 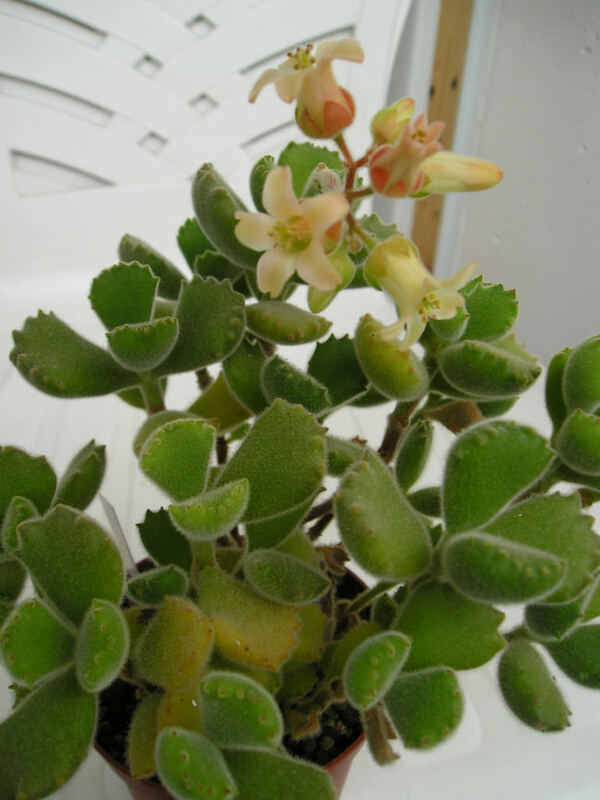 Bear’s Paw only require enough water in winter so the soil doesn’t dry completely and the plants don’t shrivel. Native to South Africa (Cape Province).